The Murphy Cabinet Bed is a truly instant guest bed. 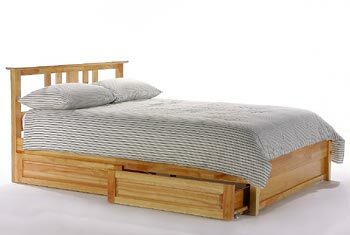 Convert it from handsome cabinet to comfy Queen bed in less than a minute. When all closed up it just takes 10 square feet of floor space. Only other assembly required is attaching base using 8 screws. 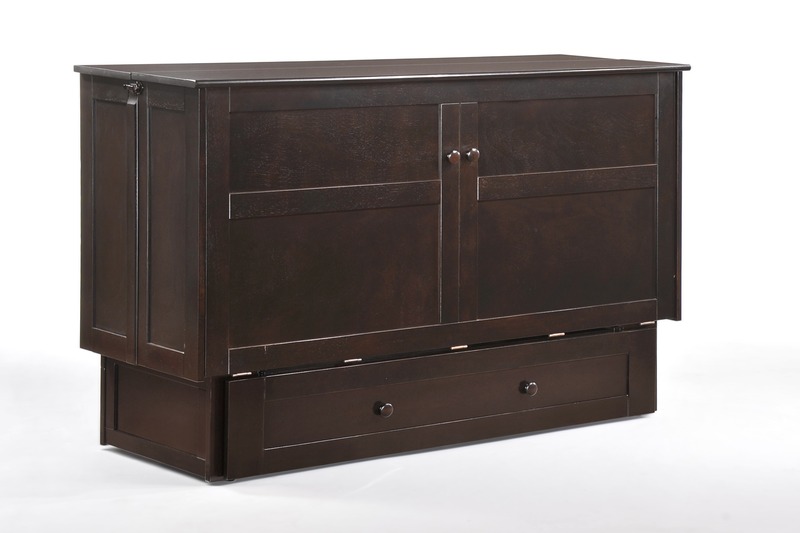 The Murphy Cabinet Bed comes with a limited 10 year warranty. 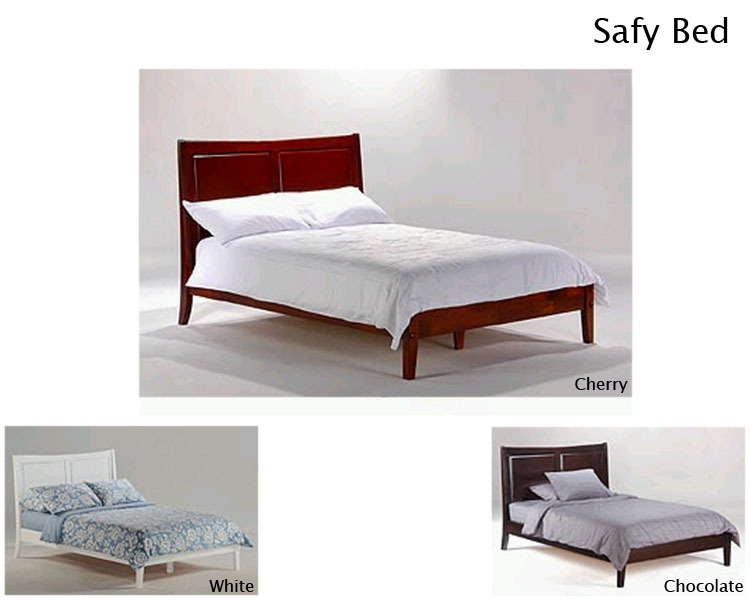 The supplied mattress is covered by a limited 3 year warranty. The closed cabinet is 23" deep, 63 1/2" wide and 43" high. The open cabinet is 83" deep, 63 1/2" wide and 43" high.